1 Copyright Jiawei Han; modified by Charles Ling for CS411a/538a Data Mining and Data Warehousing  Introduction  Data warehousing and OLAP for data mining. 10 10 Copyright Jiawei Han; modified by Charles Ling for CS411a/538a Visualization of Discovered Patterns  Different background/purpose may require different form of representation  E.g., rules, tables, crosstabs, pie/bar chart etc.  Concept hierarchies is also important  discovered knowledge might be more understandable when represented at high concept level. 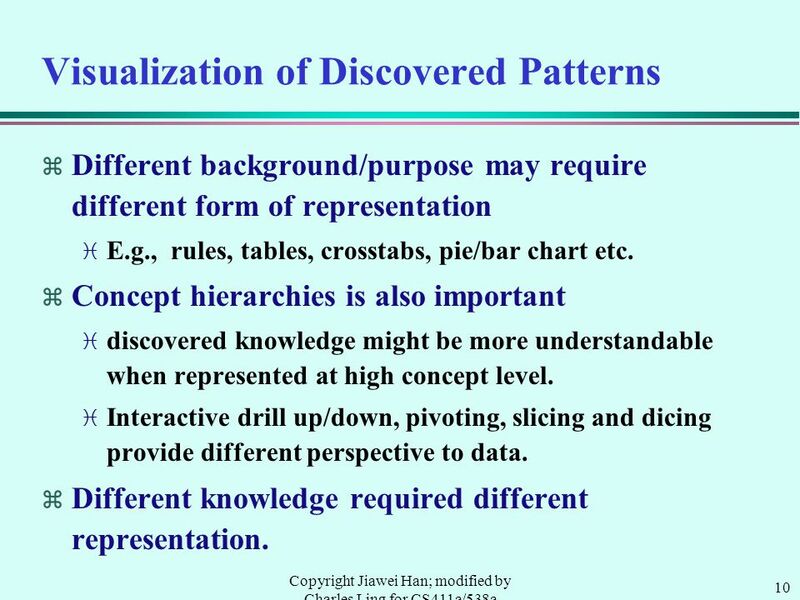  Interactive drill up/down, pivoting, slicing and dicing provide different perspective to data.  Different knowledge required different representation. 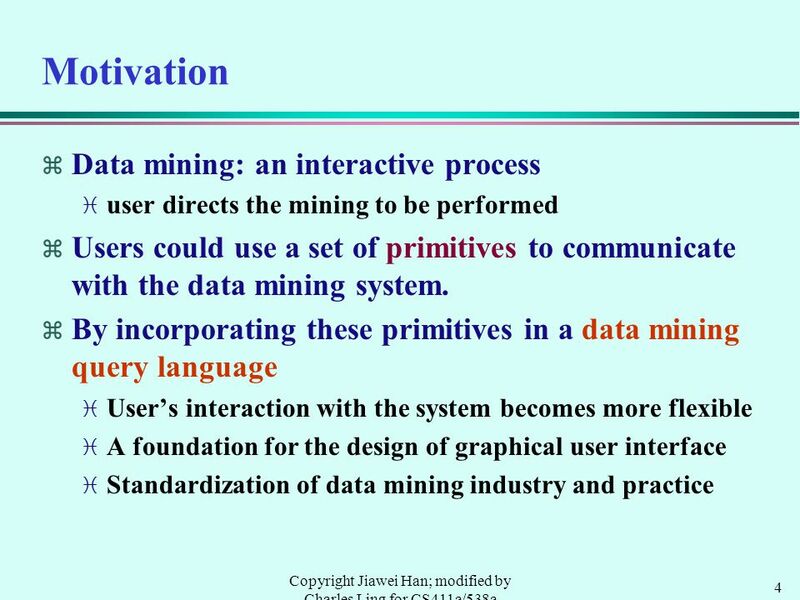 Download ppt "1 Copyright Jiawei Han; modified by Charles Ling for CS411a/538a Data Mining and Data Warehousing  Introduction  Data warehousing and OLAP for data mining." Data Warehousing and Data Mining J. G. Zheng May 20 th 2008 MIS Chapter 3. 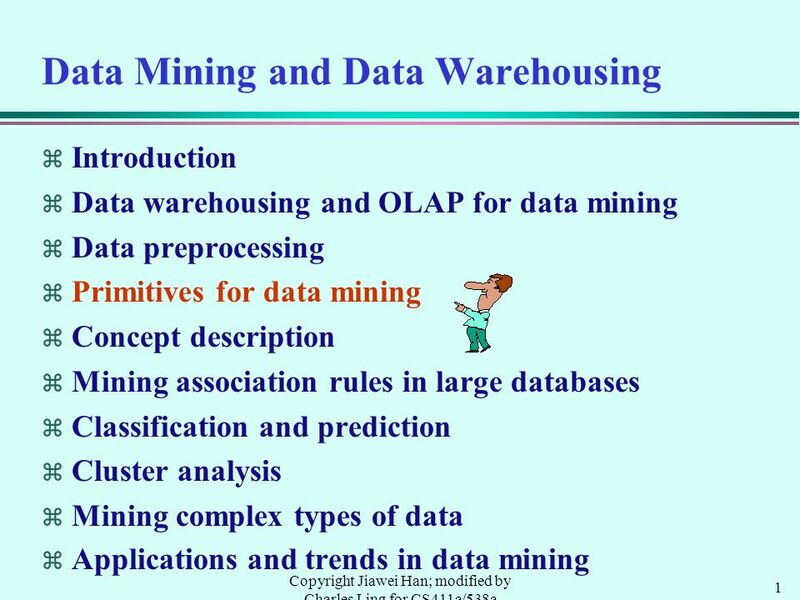 1 Copyright by Jiawei Han, modified by Charles Ling for cs411a/538a Data Mining and Data Warehousing v Introduction v Data warehousing and OLAP for data. 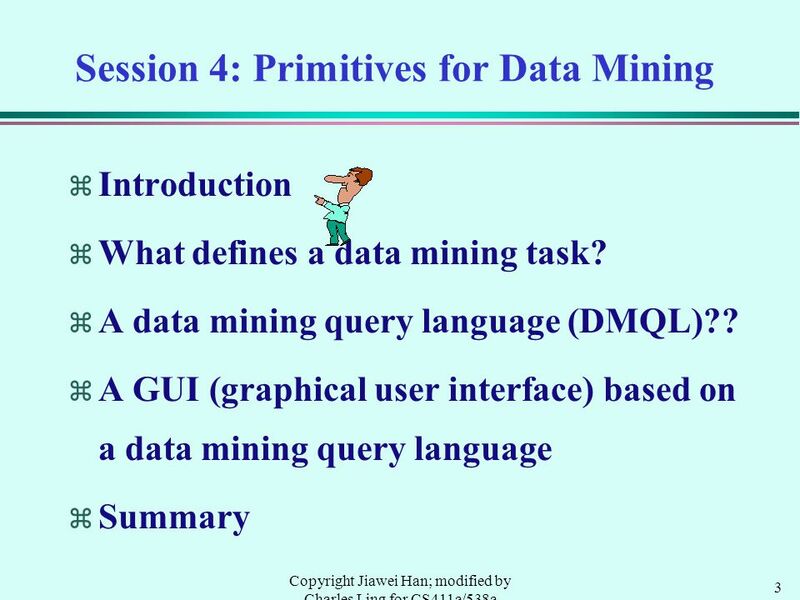 CS/EngMt/CpEng 404 Data Mining & Knowledge Discovery Dan St. Clair Lect 1 – Intro. 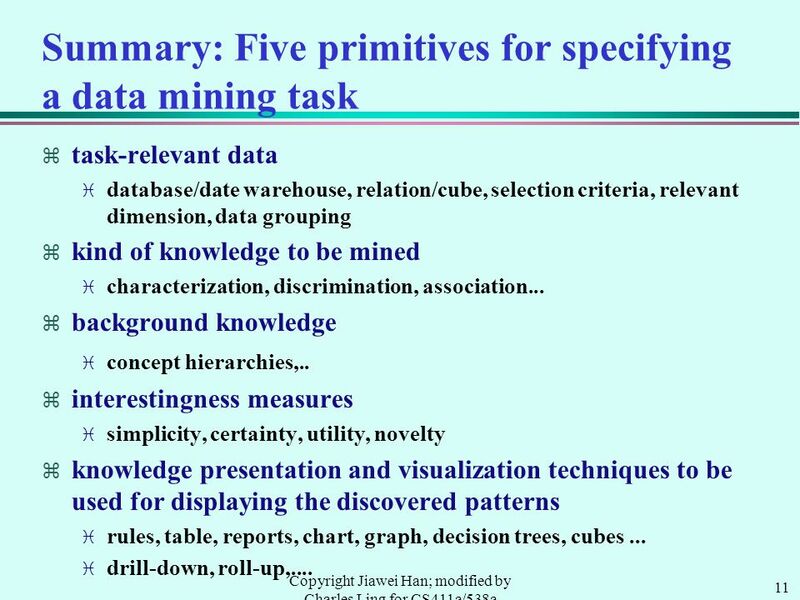 To Data Mining & Data Warehouses. Chapter 18: Data Analysis and Mining Kat Powell. 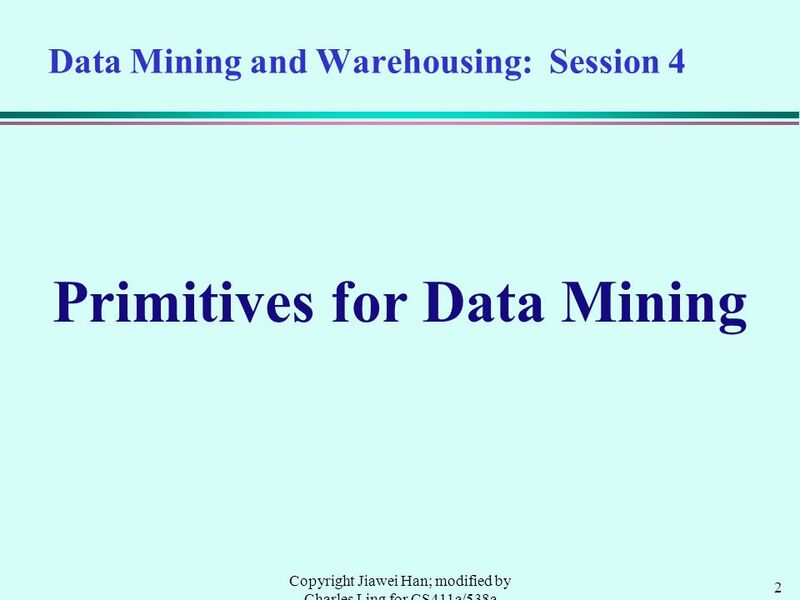 Chapter 18: Data Analysis and Mining ➔ Decision Support Systems ➔ Data Analysis and OLAP ➔ Data Warehousing. 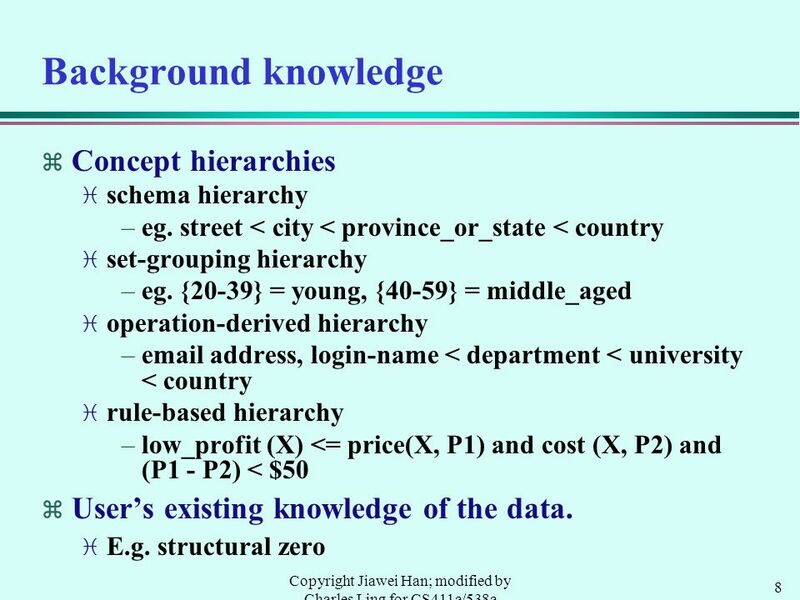 University of Alberta  Dr. Osmar R. Zaïane, Principles of Knowledge Discovery in Data Dr. Osmar R. Zaïane University of Alberta Fall 2004. Spatial and Temporal Data Mining V. Megalooikonomou Introduction to Decision Trees ( based on notes by Jiawei Han and Micheline Kamber and on notes by. Advanced Topics COMP163: Database Management Systems University of the Pacific December 9, 2008. 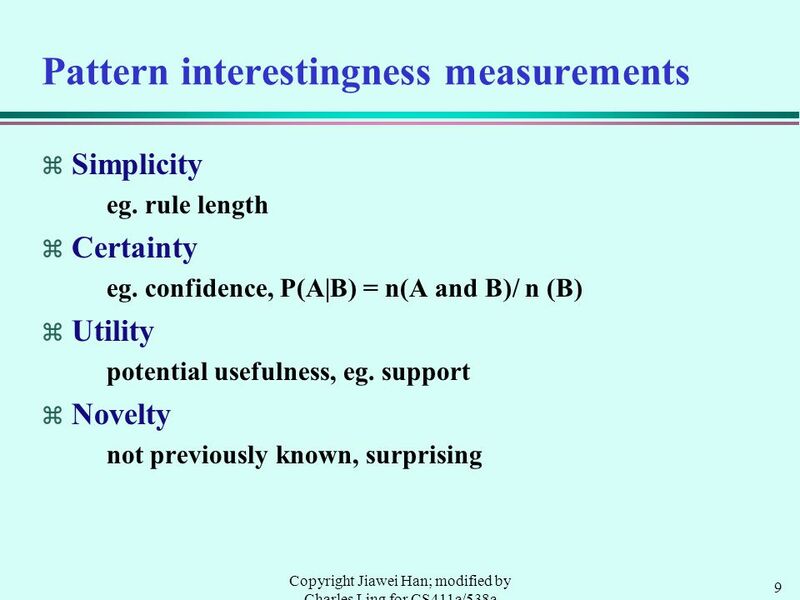 6/25/2015 Acc 522 Fall 2001 (Jagdish S. Gangolly) 1 Data Mining I Jagdish Gangolly State University of New York at Albany. 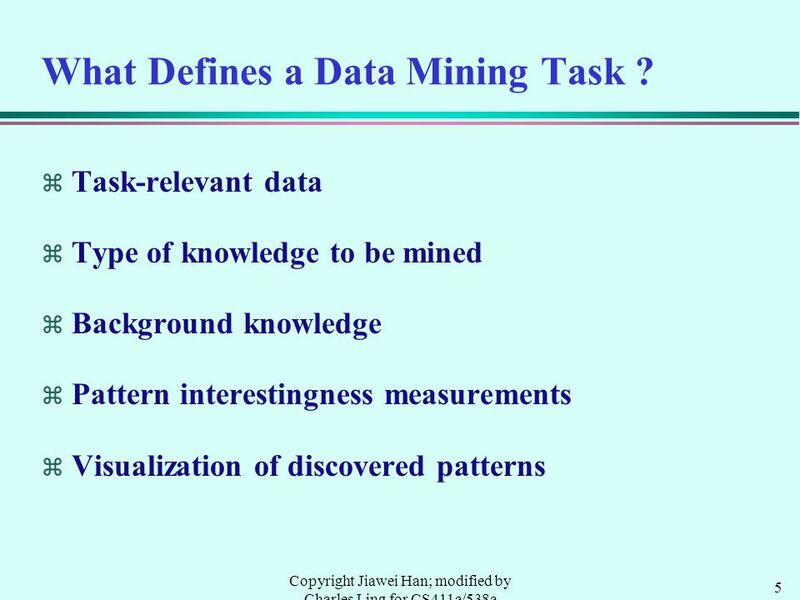 Data Mining By Archana Ketkar. Data Mining and Data Warehousing – a connected view. 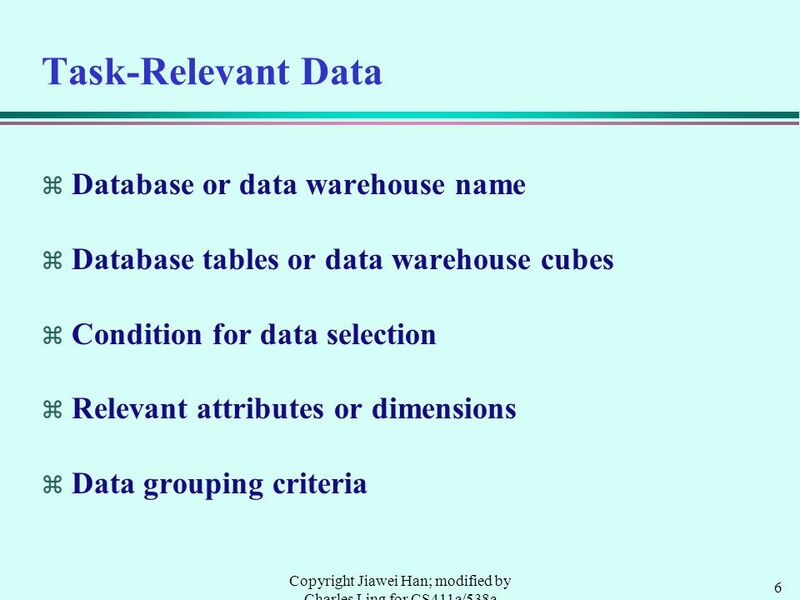 COMP 578 Data Warehousing And OLAP Technology Keith C.C. Chan Department of Computing The Hong Kong Polytechnic University. Ch3 Data Warehouse part2 Dr. Bernard Chen Ph.D. University of Central Arkansas Fall 2009. Data Mining Query Languages Kristen LeFevre April 19, 2004 With Thanks to Zheng Huang and Lei Chen.